Purchasing extra remote head keys, car remotes, key fobs, and batteries from your local automobile dealership can be expensive and time-consuming. Our locksmiths are proud to offer professional dealership quality repairs at a fraction of the price. Danny’s Lock & Key is a 24-hour mobile locksmith service designed to fit your life, your schedule, and your budget. 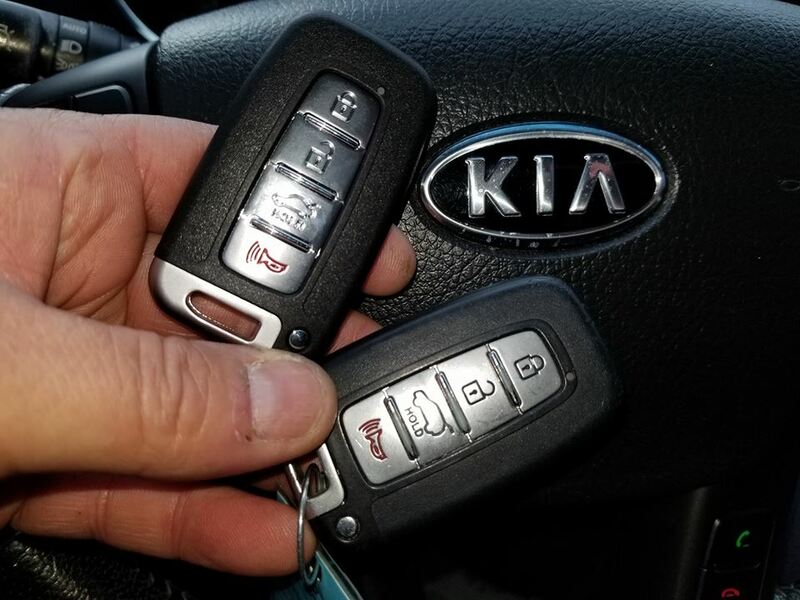 We’ll come to your home or office, supply you with a brand new key fob, remote, or remote head key, and program it on the spot with our high-tech key cutting and remote programming equipment. At Danny’s Lock & Key we aim to provide the Northeast, Georgia community with a convenient, cost-effective, and professional alternative to purchasing and programming new transponder keys, remotes, and smart keys from a dealership. We programmed new proximity remotes to a Kia Sorento in Alto, Georgia. Has your car remote been messing up lately? Is it not working as well as it used to? There’s a good chance that you can get it working again by replacing the battery. Our auto locksmith can test your car remote’s battery, and if it’s worn out we’ll provide a car remote battery replacement on the spot, saving you the time and money. Here at Danny’s Lock & Key, we take pride in being an honest full-service mobile locksmith. We’re fully licensed and insured, so you can trust that we can handle any job with professionalism and quality. We are active members of both 1-800-unlocks and the Fair Trade Locksmith Directory. If you are having problems with your car remote, and need help getting back into your vehicle please give us a call. Our full-service mobile locksmith in on call 24 hours a day and is ready to meet you wherever you are to provide fast, friendly, and convenient service. Danny’s Lock & Key provides fast mobile auto locksmith service to Habersham County, White County, Banks County, Hall County, Stephens County and anywhere else in Northeast, Georgia. We are available 24 hours a day, 7 days a week.